Sure, just post a thread describing your issue and then reply here with the link. Makes it easier to follow along and gives others the opportunity to help. My first guess would be that it is related to your BEC or maybe you don't have a BEC(usually built into the ESCs or power distribution board if not separate). My Eachine x220 Wizzard flew great for a few months... now it flips out after a short flight time. Black box shows number 3 motor goes to 100 % with sticks input at neutral hover. I replaced motors , esc's but still does the same thing. Is this a Flight controller problem ? If the blackbox logged that the input for motor 3 went to 100% then yes. Could you create a thread and post the blackbox files? It might be a problem in what channels are indexed or a mixing issue in the settings on the controller. Once you create a thread can you post the link here to let me know and to remind me? I have a thread at the moment. i have built my first quadcopter its a zmr250 and I'm now on the task of configuring my cc3d with librepilot I've been trying for several days however when i try to configure my esc's they beep forever I've asked unmanned tech shop what the problem may be and they said that my esc's have entered programming mode i would love to know how to fix this as i really need these to work for my school project. I've been busy lately, and might not be able to offer as much timely help. I suggest you make a thread under RTF repair as it will be easier for others and I to help and with multiple people helping it will give you a better response time with more ideas. Can you help on a charging issue? Instructions state it should be red but it's always green? Check connections, sounds like the instructions are wrong, the battery is charged or the connection is incorrect. The last being likely if you know the battery is discharged. You can do it in cleanflght or if your transmitter supports it you can do it there without physical modification. I'm finally back, or at least I will be fully back once I finish traveling sometime Tuesday. I'll be gone until very late October, but I will be back. P and I values need to be tuned for the roll/pitch (should be linked) and then later on the auto-level settings. Hey, you might want to go ahead and make a post on the forum under RTF modifications and repair. This will make responding and keeping track much easier, and there is no character limit. Are you part of anonymous? As the group is in it's current state I strongly disagree with the actions and politically correctness that stepped in once they became a 'cool' thing in pop culture. For the most part they are more of a solution looking for a problem, and many would demonize or throw anything under the bus to make it into the news. Kabuki and Sitherus like this. I have a theory that anonymous is just a partion of the us government or another countries government that is trying to trick us in some way. I'm afraid your theory is does not hold water, though I'm sure there are people who may affiliate with them that actually are doing so for the US government in some official capacity. 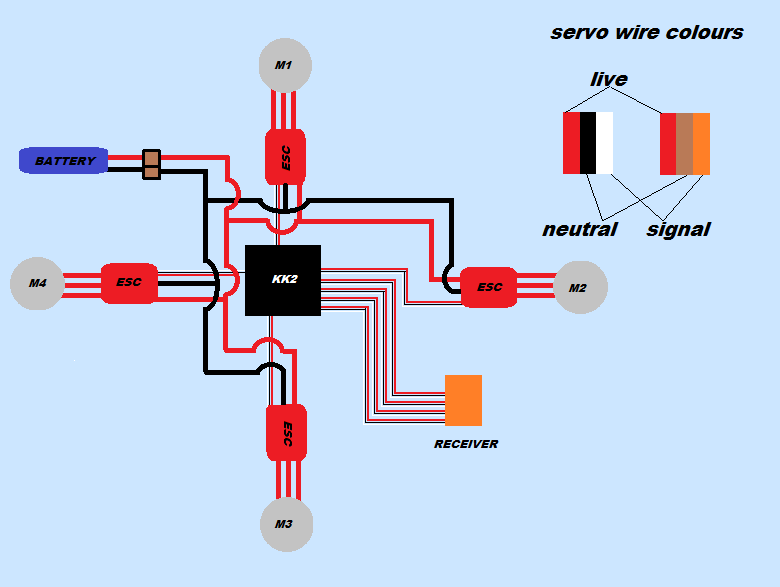 hello GJH :) I'm student engineer, I look forward to get the basics (software and hardware) of building a quad-copter using arduino-uno. I want to master this one, please can you help me with a relevants books, or tutorials??? I got lost on internet I need guidance! Just basic Arduino tutorials on youtube, and take a look at this as an example. I am new to quadcopter and designed one using kk 2.1.5, 11.1V 2200mAh battery, CT6B 6-channel receiver and transmitter. My problem is whatever I do motor 1 always remains in acceleration and its rpm is more as compared to other 3. I tried PI editor, acceleration trim but so far no luck. Even for slightest throttle it starts rotating as other dont'. I am using quadcopter X mode. Can you create a thread for it? Makes it easy to follow and provide well formatted information. There we go. That is for a 400mm+ quad, and is has plenty of amp supply ability for most applications. I don't know what a 130 amp battery is. Why the battery amps more much than the max of the 4 x motors?? A battery will only give the number of amps that are drawn from it, and drawing too many amps usually damages the battery. Now a "200 amp battery" makes it sound like the seller is listing something wrong or does not know what they are doing, or you are reading something wrong. If you need a topic moved, merged or anything else just PM me or holtneil. If you see something wrong with a topic, or a topic that you suspect to be spam use the report feature at the bottom of the post. Terms and acronyms ? Click here. 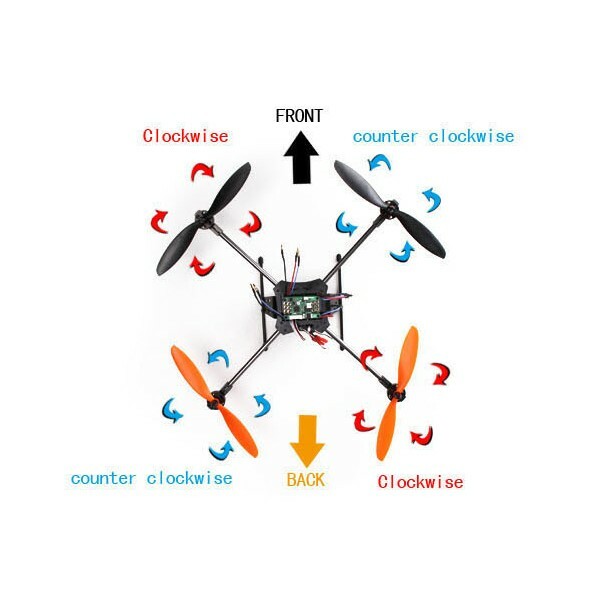 Want to learn more about quadcopters? Click here. Trouble choosing FPV Goggles? Click here. Want to know everything needed about FPV? Click here!